Workshops provide a forum for a group of (typically 25 to 40) participants to exchange opinions on topics related to any of the facets of dependable systems and networks. We welcome participation by professionals with diverse backgrounds who can contribute to advancing the technology and understanding of the workshop subject. 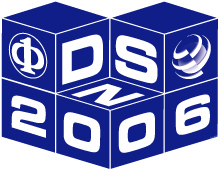 Workshops are not alternative forums for full papers, which should be submitted to one of the two DSN symposia. Workshop attendance is open to all registered conference attendees. Each workshop may be a half day or one day in length. a brief description of each organizer's background, including relevant past experience with workshops. Acceptance will be based on an evaluation of the workshop's potential for generating useful results, the timeliness and expected interest in the topic, and the proposers' ability to lead a successful workshop. Accepted workshops will have a 2-page proceedings-format summary produced by the organizers of each workshop in the Main Proceedings of the conference. Workshop contributions (summaries, short papers, etc.) will be included in the Supplement of the DSN Proceedings. Please email all workshop proposals as Portable Document Format (.pdf), or Post Script (.ps) files to the Workshops Chair at <suri informatik.tu-darmstadt.de>. Proposers of workshops will be notified by November 12, 2005. Details and deadlines for submissions to accepted workshops will be posted after November 13 on the DSN web site and elsewhere.